Crowley joined Arsenal from Aston Villa. 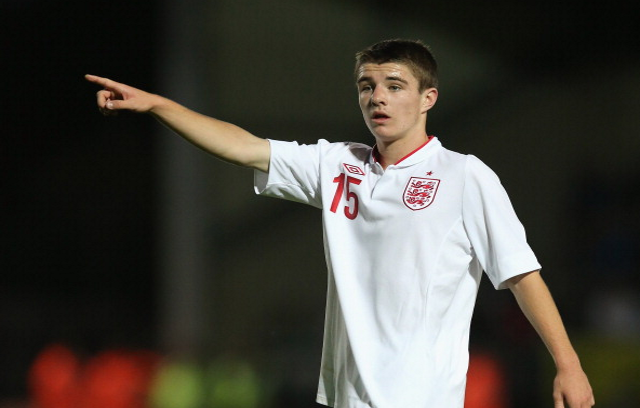 Dan Crowley and hat-trick hero Chuba Akpom stole the show as Arsenal breezed into the FA Youth Cup fifth round. They combined to record six goals against Peterborough United last night in a very one-sided contest at London Road. Without Luke O’Reilly’s superb goalkeeping it would have been more and according to The Peterborough Telegraph’s Alan Swann, Posh were not poor, it was just Arsenal who were different class. Ainsley Maitland-Niles hit the opener just before the half hour mark when he latched on to Crowley’s splitting through ball. Maitland-Niles turned provider for the second as his delicate chip found Akpom’s head to double the Gunners’ lead. Alexander Iwobi and Brandon Ormonde-Ottewill came close to grabbing a third before half-time but were unable to find a way past the credible O’Reilly. Akpom netted his second minutes after the restart, breaking clear and showing the sort of clinical finishing that will put him in good stead for when he joins Brentford on-loan today. His hat-trick and matchball performance came from good work from Crowley again as he was threaded through and slammed the ball home from close-range. Crowley scored his brace in the space of just six minutes. The first was a stunning 20-yard curling effort that prompted applause from the 2,000-strong home support and his second came from good link-up play with Akpom that seemed almost unplayable for the Posh defence. Robert Duggan saved some dignity for Peterborough as he grabbed nothing but a consolation goal a few minutes from the end. This tie however was all Arsenal and they will surely be making a strong case for lifting the FA Youth Cup this season.